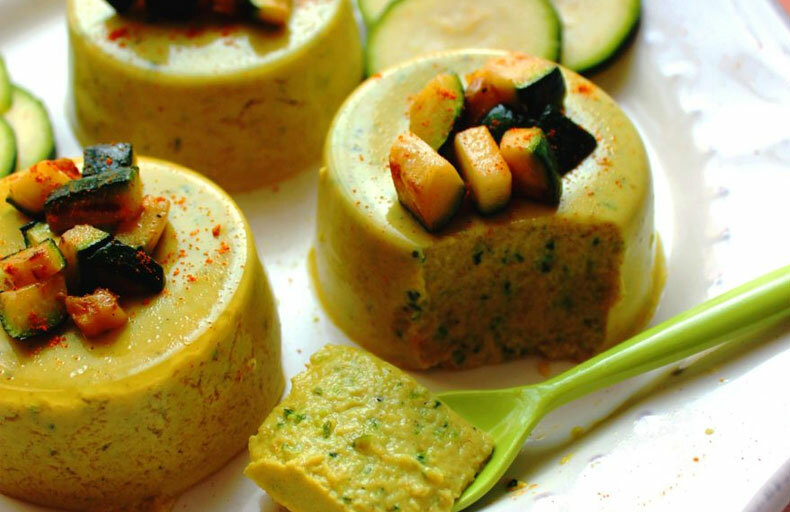 A great flan recipe with zucchini and curry, free from egg and milk but creamy and tasty thanks to the Coconut Cuisine cream Ecomil! 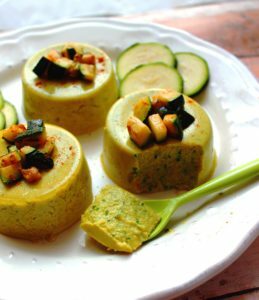 In a hot oiled pan, fry the zucchini thinly sliced, with a little bit of salt. In a saucepan, pour the coconut milk, soy milk, curry paste and turmeric. Add the agar and heat up until it boils. Keep boiling for 2 min. Off the heat, season with salt and pepper. Pour this mixture into a blender, add the zucchini and mix quickly. Pour into small glasses or molds, allow to cool to room temperature and have the refrigerator at least 2 hours before serving.